Even if there’s no job matching your qualifications but you think that you are an exeptional individual, and want to work with us, we’ll be happy to hear from you. 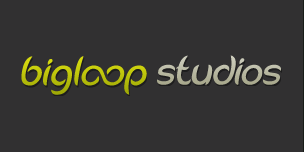 What's it like working at Big Loop Studios? You get to contribute to the making of interesting online and mobile games with the highest of quality. You get a competitive salary, plus bonuses several times a year based on your personal and company achievements. Your efforts are rewarded! The work environment is friendly and informal and you can always count on the team to support you. Work hours are flexible including work from home days every week. What matters are results, not time spent working. Not only is your opinion highly valued, but you are required to unleash your creativity and your best ideas are directly included in the company products. What are we looking for in our team members? Self-motivated individuals, who are passionate about games and get things done. Able to work effectively in a highly collaborative and team-oriented environment. Willing to improve their skills and learn new ones. Copyright 2015, BigLoop Studios, All Rights Reserved.